A ‘zombie deer disease’ has been spreading across North America, with affected areas are expected to “continue to expand”. The World Health Organisation (WHO) and Centre for Disease Control (CDC) has issued a precaution to humans not to eat any animal infected with the infection, known as chronic wasting disease (CWD). The Centre for Disease Control and Prevention said: “Since 2000, the area known to be affected by CWD in free-ranging animals has increased to at least 24 states, including states in the Midwest, Southwest, and limited areas on the East Coast. It is possible that CWD may also occur in other states without strong animal surveillance systems, but that cases haven’t been detected yet. “Once CWD is established in an area, the risk can remain for a long time in the environment. The affected areas are likely to continue to expand. “In several locations where the disease is established, infection rates may exceed 10 percent (1 in 10), and localized infection rates of more than 25 percent (1 in 4) have been reported,’ the CDC report says. 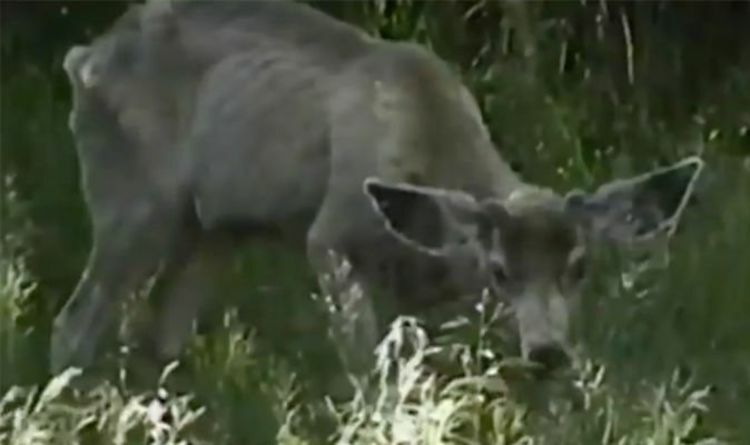 In a video released by the Texas Animal Health Commission (TAHC), Dr Andy Schwartz, Executive Director of TAHC, explained: “Chronic wasting disease is a progressive neurological disease that is known to affect deer. “It affects several species of deer such as elk, moose, red deer, ska deer, mule deer and black-tail deer. “Chronic wasting disease is also known as CWD, this disease has been documented in areas of Texas since 2012. “Since its discovery in the United States in the late 1960’s, it’s also been discovered in 22 states outside of Texas in white-tail deer, elk and mule deer. Dr Schwartz continued: “CWD is caused by an infectious protein called a prion, which is unlike bacteria, virus or fungi. Infectious prion can be shared by deer in their saliva, faeces and other bodily fluids. “These fluids can contaminate the environment where the animals reside and are capable of infecting other animals for an undetermined number of years. “Infected animals will likely only show clinical signs which is weight loss, exaggerated wide posture and staggering at the terminal stage of the disease. “It’s a challenging disease to deal with because it has a long incubation period, that’s a period between when the animal’s exposed and when it begins to show clinical signs. “On average, this time it may be between 18 to 24 months. Although these clinical signs will not likely be seen until the late stages of the disease, it’s important to remember that an infected animal may be shedding contagious prions well before clinical signs become apparent.